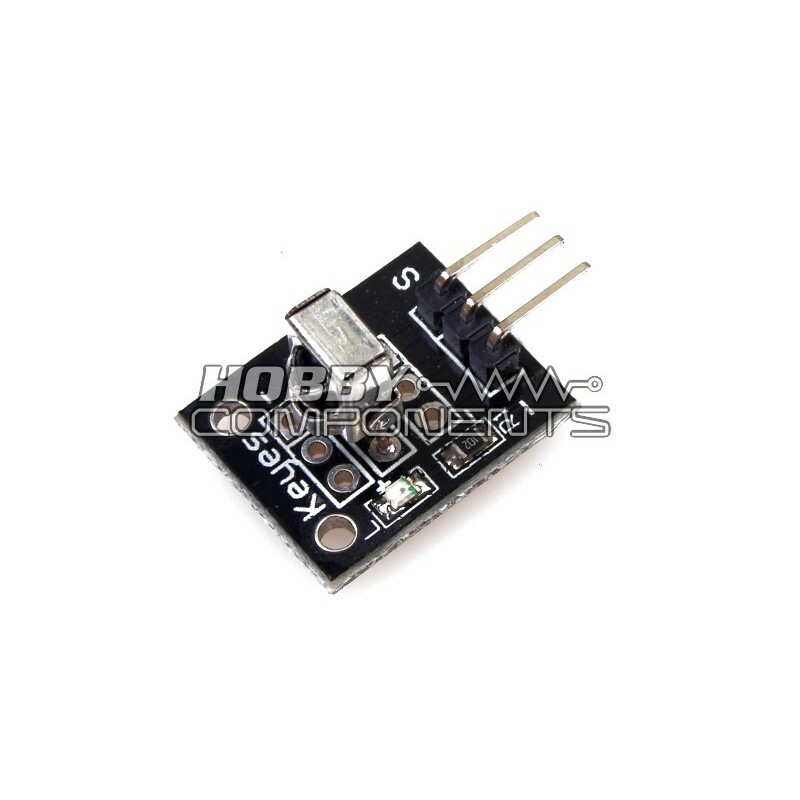 receiver module (HCSENS0010) to receive infrared IR codes sent by the remote. It will then output the name of the button pressed to the UART. Please note: The HCSENS0010 module reverses the order of the VCC and GND pins. I have just purchased thiis component together with your new version of the Uno. I wired the sensor as per your description of the pin outs and the leds on the went out and the UNo seemed inoperative. I suspect that your wiiring of the HCSENS0010 is incorrect as when I swopped the Gnd and Vcc wires the Uno came to life again and the red led on the HCSENS0010 lit up. However I could not get any output showing on the Serial Monitor of the Arduiino. How can I check if the IR sensor is falty? As a matter of interest I have seen the sensor wiring I have indicated on a Web site which would suggest that your wiring is incorrect. I think I can see the issue, the sketch was written for the 1838B sensor (used on this module). The module for some reason reverses the order of the VCC and GND pins (although the screen print is correctly marked). I've just updated the sketch and added diagrams to the first post that will help clarify the correct connection. ow can I check if the IR sensor is falty? If the power got connected the opposite way then there's a good chance its damaged the sensor. I've sen't you a direct email about it. In view of the fact that you now admit that your wiring instructions were incorrect would you be prepared to replace the IR sensor or the new model UNO which may have become damaged due to the incorrect wiring instructions on your site. ? I also see from your new coloured diagram that the data line is shown going to Pin 1 wereas in the original was shown going to Pin 11. Is this correct and how it should work in Pin 1. Please could you check your email, we've already offered to replace your module as a courtesy. If you now believe that your Uno may not be working we can discuss it there as debugging it in this tread would be off topic. The diagram has now been removed but I've left the pin-out as this is relevant to the module. Thanks for pointing it out.